As students, we complain about having to balance seven classes in a semester, but we often forget that teachers are humans too. They are given the responsibility to manage a large number of students in the daily schedule while still having to create a lesson plan for each class they handle. Their work schedule is often packed, filled with tests to make, papers to check and meetings to attend. It’s not an easy job and we don’t usually recognize it. Sometimes we even call out a teacher for forgetting to do certain tasks that they promised to do. 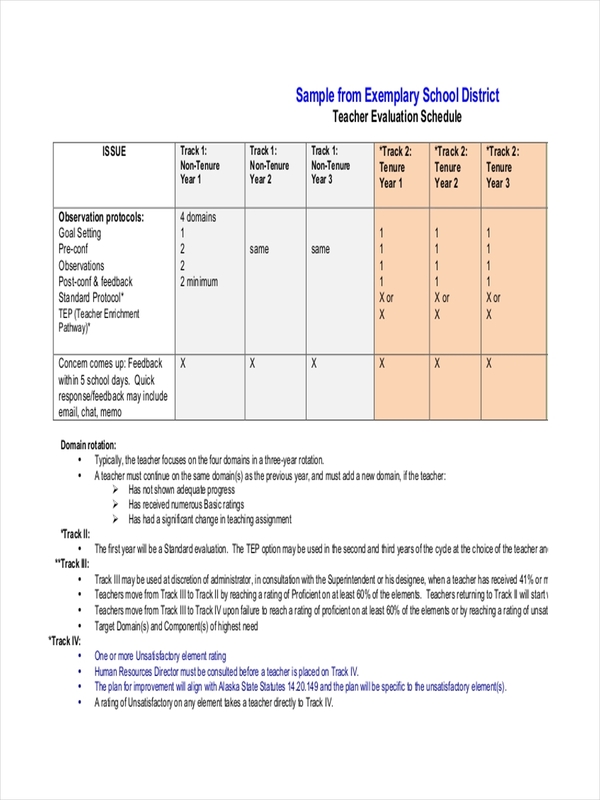 Because of this, it’s important for teachers to create a schedule for themselves. What Is a Teacher Schedule? 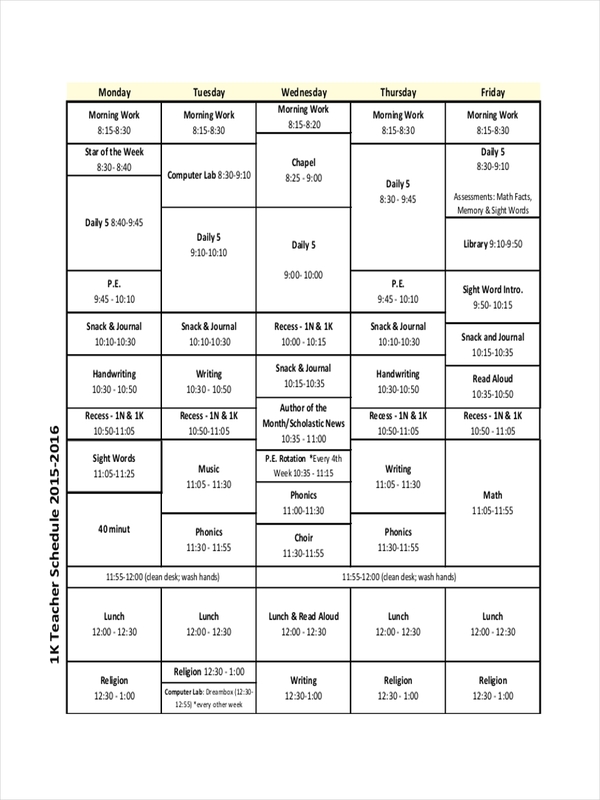 A teacher schedule is exactly what it sounds like, a schedule fit for a teacher. This could refer to their weekly schedule, a salary schedule, a conference schedule, and the like. Being a teacher is a hectic job that not everyone can take, so it’s important for teachers to have an activity schedule made to keep themselves prepared and set to take on the day. Of course, this would also require a level of discipline and commitment for it to be carried out effectively. Making a teacher schedule is not as difficult as it seems. Like other schedule examples in pdf, you only need to have a defined purpose for you to determine what should be included in the maintenance schedule. Once this has been specified, think about how you would want to present this data in an organized manner. Most of the time, this is presented in the form of a table or sample chart. Next, sequence each entry accordingly. 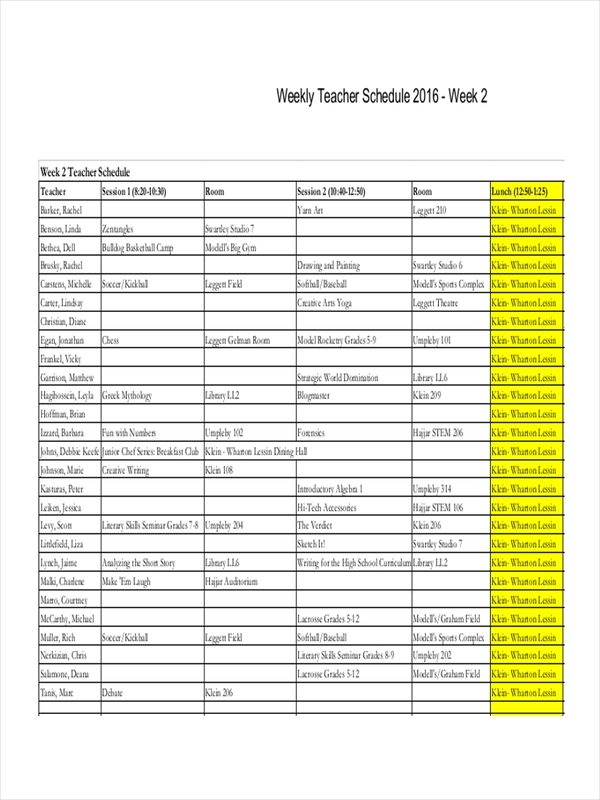 It’s best to be specific with each item listed in the sample schedule. Anything from names, room numbers, time periods, and other relevant subjects must be labeled properly for better understanding. Keep in mind, try not to make it too wordy or lengthy. You need to be as clear and concise as possible with the way you present relevant information to avoid any conflict. 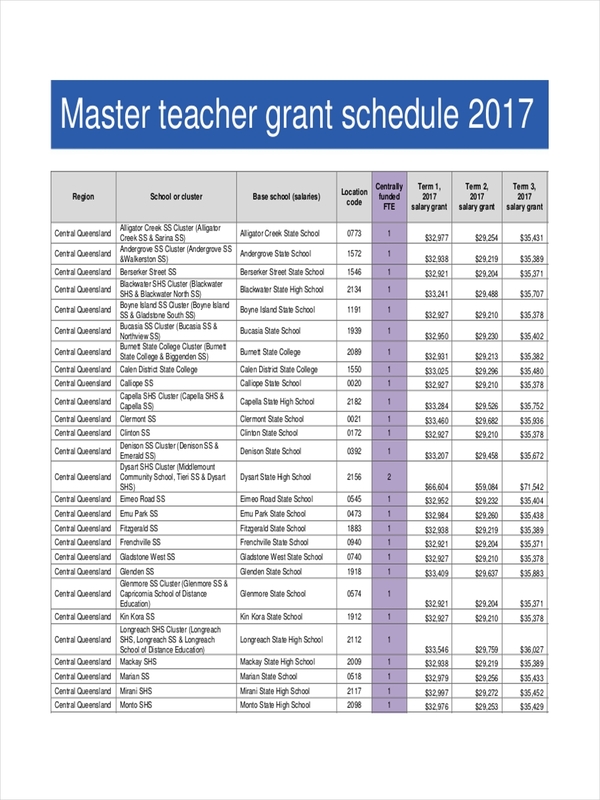 How Does a Teacher Salary Schedule Work? 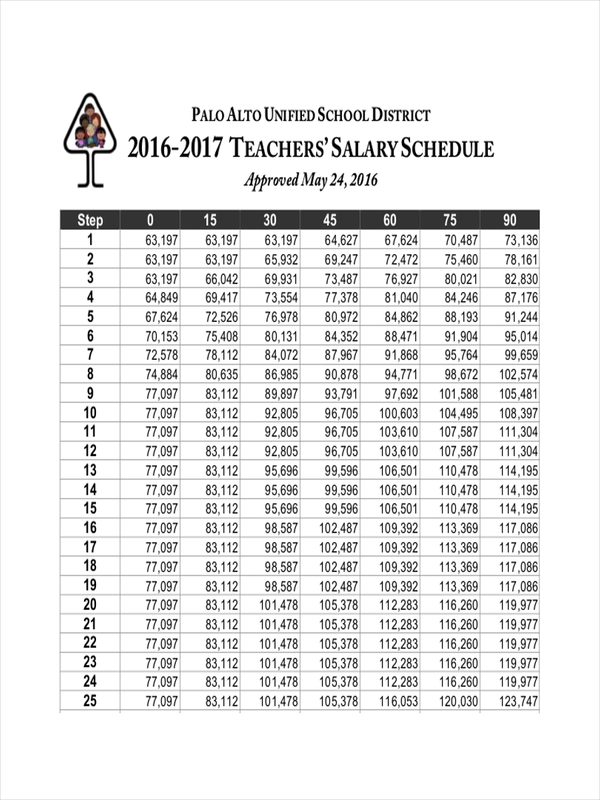 A salary schedule for a teacher is usually created by the school’s executives or by the school board. Just like some schedules in excel, there’s a certain pattern to it. It typically presents a teacher’s annual pay scheme over the years. A teacher’s salary may depend on the number of years they have been teaching as well as the educational level attained. Naturally, you would think that those who have served for twenty years are paid more. Unfortunately, a teacher’s salary schedule is clear proof of the lapses in the system. A lot of teachers nowadays are extremely underpaid despite their work experience. 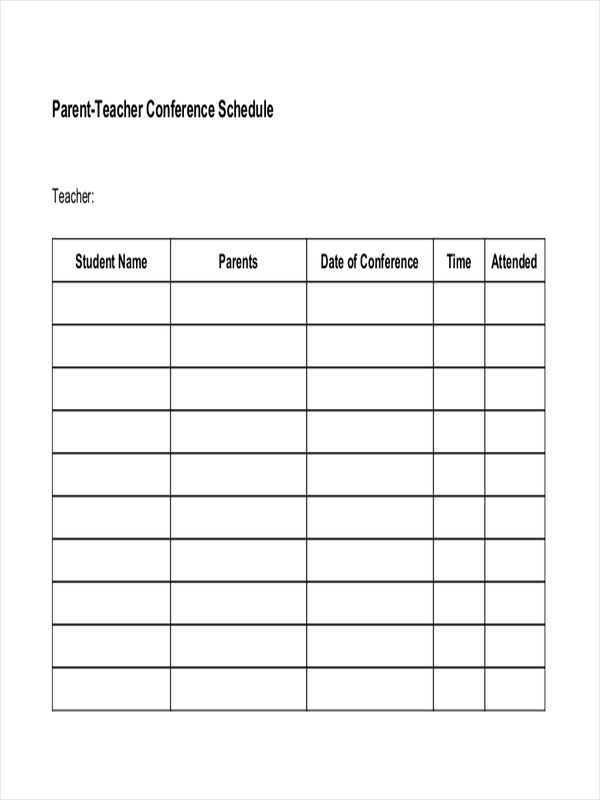 If a teacher schedule is well-organized then it wouldn’t be too difficult to understand. It’s important to check the labels of each entry to identify its statement of purpose. Try and look for additional instructions or disclaimers that can guide you in understanding the data found in the schedule.